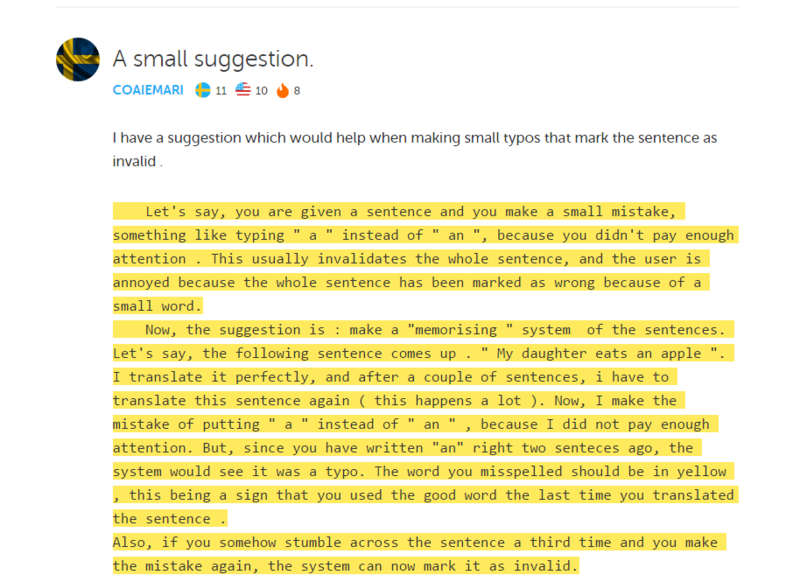 I have a suggestion which would help when making small typos that mark the sentence as invalid . No problem being secure though. Sometimes the programma doesn't spot the missing -t or -à in adjectives. That Is also confusing.